The Council for Agricultural Science and Technology (CAST) announces that the 2018 Borlaug CAST Communication Award goes to Marty Matlock, an internationally recognized expert in agricultural sustainability metrics and assessment. Matlock has become the world’s leader in the science of agricultural sustainability during the past 10 years through his global communication effort. A former cowboy, Matlock received his Ph.D. in biosystems engineering from Oklahoma State University. 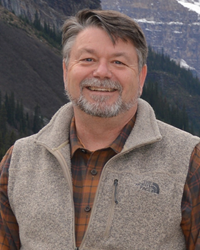 Currently he serves as the Executive Director of the University of Arkansas Resiliency Center and Professor of Ecological Engineering in the Department of Biological and Agricultural Engineering. He has made an impact through his development of specialized courses, his expert supervision of students, and his ability to conduct competitively funded research. Matlock shares his expertise with farmers, industry professionals, students, and consumers by helping them develop, implement, and communicate issues of great importance to the agricultural industry and science communities. Throughout the past six years, he has participated in more than 116 keynote presentations, discussion sessions, and video interviews. Since 2011, he has published 19 peer-reviewed manuscripts, co-authored two books and six international policy reports, been awarded three U.S. patents, and received more than 15 professional leadership awards. One of Dr. Matlock’s supporters states it perfectly: “His commitment embodies many of the attributes and characteristics of Dr. Borlaug, most notably providing leadership to advance science and engineering in a way that not only benefits agriculture and food production, but also contributes to the betterment of society.” To Matlock, Dr. Borlaug’s influence was personal—Marty worked with him beginning in 1996 when he joined the Texas A&M faculty. Borlaug provided guest lectures in Matlock’s graduate classes, where they explored the Borlaug hypothesis that intensification of food production was the only path forward to preserve biodiversity on Earth. Dr. Borlaug advised Matlock through the first four years of his academic career, encouraging him to explore the complex interface of community poverty, food, and water—these are now focal issues for the University of Arkansas Resiliency Center. An award presentation will occur at a breakfast side event at the World Food Prize Symposium on October 17, 2018, in Des Moines, Iowa. The Borlaug CAST Communication Award honors the legacies of Nobel Prize winner Dr. Norman Borlaug and Dr. Charles A. Black, the first president of CAST. CAST is an international consortium of scientific and professional societies, companies, and nonprofit organizations. Through its network of experts, CAST assembles, interprets, and communicates credible, balanced, science-based information to policymakers, the media, the private sector, and the public.